Track People, Safety, and Training! Traditional methods of handling information such as paper-based and Excel spreadsheets are too slow and inefficient. Busy managers are wasting time with outdated methods. Government regulation continues to make compliance more difficult, expensive and time consuming. Here are two similar companies, with the comparative cost of not managing incidents efficiently! A sudden, unexpected legal challenge may be the biggest risk. Your first line of defense is a due diligence trail - how are you going to document it? "Gulf Oil Spill to Cost BP Billions"
"Manufacturer Declares Bankruptcy After Lawsuit"
"Personal Injury Claims Totals in Millions"
Thank you for taking a few moments to learn about Simply Safety!® software... a tool for small to medium companies which helps mitigate legal risk. 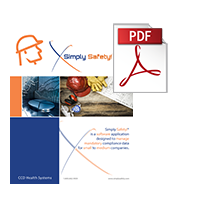 Simply Safety!® centralizes and simplifies information that could be critical in a regulatory or legal challenge. Simply Safety!® is an electronic filing cabinet with built-in intelligence. It may replace a number of other applications you are using. Simply Safety!® is used by the OHSE, HR and training departments as well as other plant or local managers. Security levels restrict who sees what. 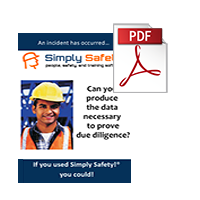 Simply Safety!® helps these managers save time by managing mandatory compliance information. • Oshalogs, Form 7's, ect. Save time by automatically generating notifications to managers of incidents added to the system... and expiring items in the database such as 'training due' and 'corrective actions'. 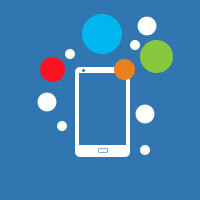 How can we help you to manage your information more efficiently? Would you like to learn more? A free pre-recorded webinar and online demo access is available. webinar or online demo access! 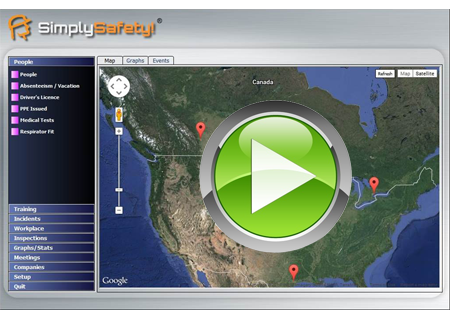 Simply Safety!® software is an easy-to-use safety management application that helps your safety team manage people, safety, and training. This 'all-in-one' safety management software program helps the safety manager track, analyze, report, notify, and improve safety and training performance plus meet mandatory reporting requirements. The Simply Safety! safety management program sits securely inside your company firewall so confidential safety records are not exposed on the internet. Your first line of defense against incidents and lawsuits is an accurate record-keeping due diligence trail. Simply Safety! health and safety management software can help centralize and simplify your organization’s workplace safety management system data. This health and safety management software allows you to track, analyze, identify problem areas and instantly report for management safety meetings or workplace safety audits. 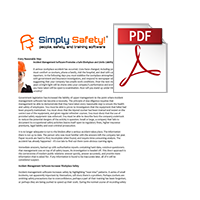 Simply Safety!® health safety management software helps you save time, money and resources by identifying and reducing safety related incidents. Maximize your safety systems through accurate record keeping and drive quality improvement through corrective actions. Automatic incident notification is built right into the safety management program to keep managers advised of incidents as they occur. Built in graphing, reporting, and trend statistics make patterns clear.